I had the honor to address some of our members very briefly as your new President at the Annual Chapter Meeting in May. At that time, I spoke about our theme for the weekend-Thrive! I used a garden analogy and spoke about all the factors that go into tending and nurturing a thriving garden. A garden requires so much care, and in return, gives back to all the caregivers. I love the cycle of life that this illustrates and I am reminded of it as my flower gardens (and deck tomatoes) call out to me this summer! I also have thanks and deep gratitude for the tender care that your Immediate Past President (IPP), Mary White, the entire Board of Directors (BOD) and committee chairs have taken of our chapter. This care and nurturing has been demonstrated through legislative action, our strategic direction, finances and membership growth. Focus: What is your business/practice/organization primarily focused on? Are you regularly examining your mission, vision and short and long term goals? Relationships: Are you creating and attracting relationships that serve your focus? Energy: Are you able to manage your energy to balance accomplishment of work, and home life? Stimuli: Is there inspiring stimuli in your life? Are you able to intentionally seek out inspiration and challenges to keep your heart, mind and body moving forward? Hours: Do you carve out time, hours each day, to unplug and allow your creative self to find expression? These are five areas of our lives and careers that we are solely responsible to nurture. And if we don’t allow these to be front and center, who will? Our leadership team is meeting together in September to bring new focus to our chapter organizational structure. 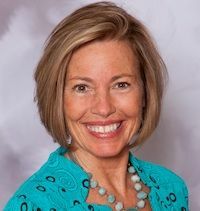 We are being led by the Washington State Chapter President, Marybeth Berney who has overseen and contributed to enormous and impressive growth-producing changes of the past 5 years of the WA chapter. We hope to bring FRESH to the leadership retreat and use these thought-provoking tenets to guide our decisions. Stay tuned, as I will be eager to share our progress and report back upon the completion of this planning session and the short and long term action plans that result! In exciting Chapter news: House Bill (HB) 185 was still on the table, although not particularly front and center, as we would like. It did not pass formal session and is now in informal session which continues until the end of 2014. We continue to gain support for it and remain positive for a successful outcome.Thanks to so many of you who acted and supported the bill by contacting your legislators! Our newsletter has a new editor and new format. Welcome to Kristen Lutz! We will be seeing fun and innovative efforts and I am personally really glad the multi-talented Kristen has joined the team! Our Community Service Massage Team (CSMT) team is up and running! They are planning a fall training in Western MA, most likely, in cooperation with our partner, the MA Red Cross out there. The education team and our new BOD member Kate Peck, Convention Program Chair, are busy making plans for our first ever One & Done Chapter Convention and Annual Meeting in May 2015. Stay tuned for that for sure! Lastly, our membership numbers continue to hold their own, but we will be trying new ways to reach out to the other 7,000+ massage therapists in the state to share our AMTA-MA Chapter mission of Education, Empowering, Advocacy and Inspiration for the entire Massage therapy community. It is my honor and privilege to serve you all. I welcome and look forward to hearing from you with boths joys and challenges! Please don’t hesitate to email me at lisaparenteau@gmail.com.